After sharing a CNN article regarding brown cows and chocolate milk production, we asked our social media fans what other farming misconceptions they had heard. Enjoy! We recently shared an article on our social channels regarding chocolate milk production. According to the article by CNN, roughly 7% of American adults thought that chocolate milk came from brown cows, that’s about 17.3 million people; wow! We thought that was pretty impressive and wanted to find out from you what other funny farming and food production misconceptions existed. Contrary to belief, eggs do not grow on trees but instead are laid by many types of different birds; the majority of which are from chickens. According to Poultry Trends, in 2016 egg production was estimated at roughly 74 million metric tonnes with the majority of that coming from China which accounts for roughly 40% of the worlds egg supply. That is in excess of 500 BILLION eggs from China alone. Another misconception that we heard about regarding eggs was that only brown chickens lay brown eggs. We can tell you that this is not the case either. This is not true in any circumstance. Farming, whatever the sector, is hard work and only a small percentage of this is done from the seat of a tractor…or any other form of agricultural machine. Farmers work in many different agricultural sectors including arable, vegetable and fruit production, livestock, dairy… the list goes on. What do all these have in common; long working hours! Arable farming will usually result in a high amount of engine hours due to the amount of time preparing and harvesting the land but still, this is only a fraction of the time spent. This is probably one of the most common misconceptions. The simple truth of it is that hay is made from dried out plants such as grass and green legumes, straw on the other hand is made from leftover stalks from grain crops such as wheat. You can sometimes tell the difference by looking at them as hay will be a green color whereas straw would be a gold/yellow color. Hay is also rich with nutrients which is why it is used as feed for livestock. Straw in comparison has little in the way of nutrients and is most commonly used as animal bedding and a range of other uses. This one surprised us as we thought everyone knew that farming is the practise of growing food and feeding the world. 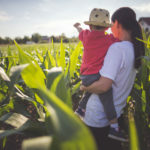 Grocery stores are an essential ingredient in delivering food to the world’s population, but it is farmers that are producing the food which is retailed. The UN anticipates that the world population will grow to 9.7 billion people by 2050; that is roughly 2 billion more than there is today. Feeding all these people will be the challenge of the farming community and companies like ours. 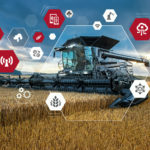 To help answer the call of the UN and their Zero Hunger Challenge, AGCO recently launched our own philanthropic arm, the AGCO Agriculture Foundation which will help support farmers in feeding the world through various partnerships and programs. So you may have seen these large wrapped packages in farmers’ fields. What are they? Contrary to popular belief, these are not cow eggs. Cows do not lay eggs as they are mammals like us. They have offspring through the same means as us…and we will leave that topic there. Back to the large packages in the field, these wrapped packages are called “silage”. Silage is made from grass crops that have been cut and compacted into bales and then wrapped in plastic. Because there is such a high level of moisture, the fermentation process takes place which then creates a biofuel rich with nutrients which is then fed to cows and sheep and others animals. 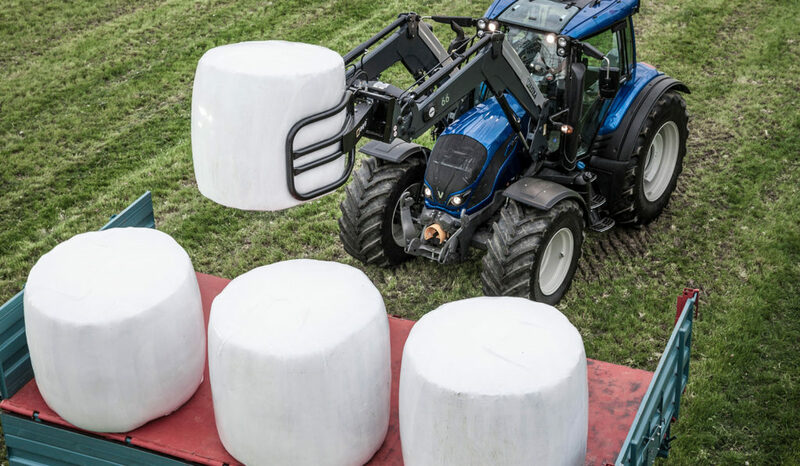 This explanation also debunks the theory that white plastic wrapped silage bales are not actually gigantic marshmallows that are grown in the field. Farmers grow many things in the field but unfortunately marshmallows are not one of them. So hopefully we have helped to answer some of the common misconceptions out there surrounding the world of farming. If you have any others that you think we should know about, please visit our social channels and let us know. We will try our best to tell you “Eggsactly” what you need to know! Which phase of the agriculture cycle are you? 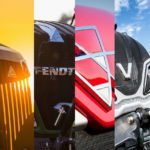 Which AGCO tractor brand are you?